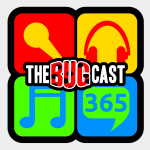 This week on The Bugcast: We’re a day late, defensive, saddened, and knackered, but we still play our usual mix of 8 great tracks of independent and Creative Commons music! The next live show will be episode 366, broadcast live in the chatroom on Friday 3 July 2015 at 21:30 UK time (BST/UTC+1). Hey I am Rambling Era or as I am going by now Advptd. I greatly appreciate you playing and providing feedback on my song Life goes on some. I apologize for the lack of info i provided on my profile I am from summit NJ and yes there is a lot more music where that comes from. I uploaded these to jamendo on a whim and didn’t look into what happened until just now.